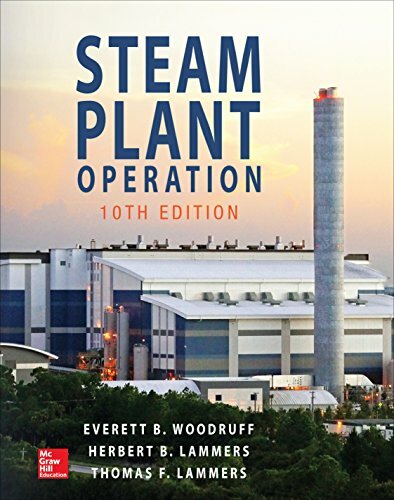 For more than 80 years, Steam Plant Operation has been an unmatched source of information on steam power plants, including design, operation, and maintenance. The Tenth Edition emphasizes the importance of devising a comprehensive energy plan utilizing all economical sources of energy, including fossil fuels, nuclear power, and renewable energy sources. This trusted classic discusses the important role that steam plays in our power production and identifies the associated risks and potential problems of other energy sources. You will find concise explanations of key concepts, from fundamentals through design and operation. For energy students, Steam Plant Operation provides a solid introduction to steam power plant technology. This practical guide includes common power plant calculations such as plant heat rate, boiler efficiency, pump performance, combustion processes, and explains the systems necessary to control plant emissions. Numerous illustrations and clear presentation of the material will prove invaluable for those preparing for an operator’s license exam. Examples throughout show real-world application of the topics discussed. If you're a boiler professional, the Fourth Edition of this classic guide offers you the latest guidelines for installing, operating, and maintaining boilers in all types of facilities. The book now covers federal and state jurisdictional requirements...changes to the ASME Boiler Code, such as the new confined space entry requirements... the liberalization of the overseas requirement to obtain U.S. National Board Certification...and the use of new materials in boiler construction. It also contains questions & answers that help you review for oral and written license tests. 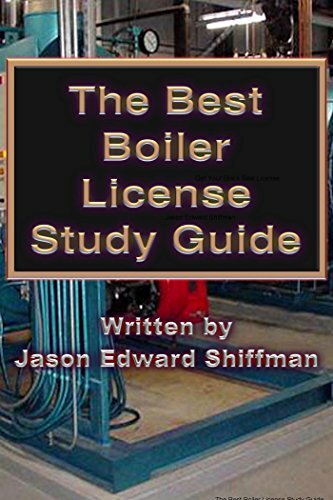 This is a study guide to help you pass the high pressure boiler exam. This guide includes Key terms as well as study questions with an answer key. Are you preparing for your Black Seal License for Boilers? Are you concerned about passing? You don't have to be, my study guide is the best black seal license study guide out there, and our price point is competitive with guides that cost 6 or 7 times more. 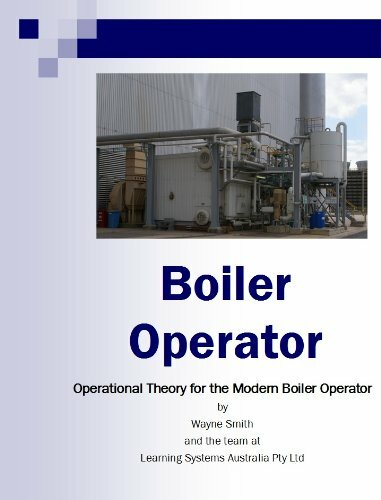 Some boiler books have sold for as much as 1,000.00 on Ebay, and were honestly less informative. Get Licensed and Get Ahead! 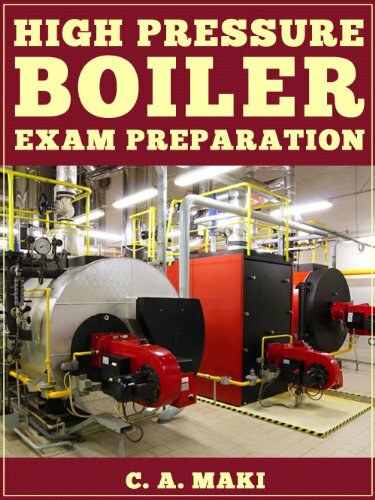 If the exam is on boiler operation, this guide is your fast track to acing the test! It was written by a licensed professional engineer specifically for those who work with boilers and want to pass licensing exams. Inside, you'll find all the help you need to walk into your exam with confidence and walk out, knowing you've made the grade. You'll find: Clear illustrations that make the material memorable; Uncluttered explanations of exactly what you need to know to pass your test; 457 questions and answers just like the ones you'll find on your exam; Step-by-step problem-solving help; Valuable test-taking tips; A comprehensive glossary of terms and jargon used in the industry. With this results-oriented review guide, you'll save study time. The Boiler Operator's Exam Preparation Guide doesn't waste precious study hours with material you don't need to know. Instead, it focuses right in on exactly the kind of problems you will find on your exam. Not only is it packed with practice multiple choice, problem-solving, and essay questions to help you prepare, this guide also shows you how to answer, step by step. Working at yur own pace, you'll polish up your problem-solving skills and build up your knowledge of the underlying theories of thermodynamics and mechanics. 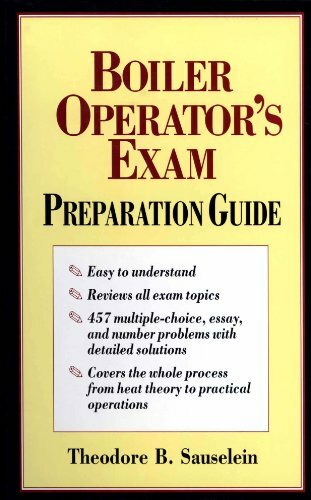 The Boiler Operator's Exam Preparation Guide is your one-stop source for acing any exam on boiler operation. The book familiarizes the students with the basics of boiler operations as well as with the wide concepts of thermal power plant along with its cross functional areas. The book not only covers the process know-how but also explicates the process known-why. Keeping the course an power plant engineering in mind, the book is designed for the undergraduate engineering students candidates preparing for Boiler Operation Engineers (BOE) Examination and the students of National Power Training Institute (NPTI).